At least 299 schoolchildren and 30 staff members of the Palestinian Education Ministry remain in Israeli prisons, Palestine’s Education Minister said on Tuesday. Sabri Saidam told reporters in Ramallah that 47 students had been martyred in 2018 with 3,191 injured by Israeli gunfire in the West Bank, Gaza and Jerusalem. 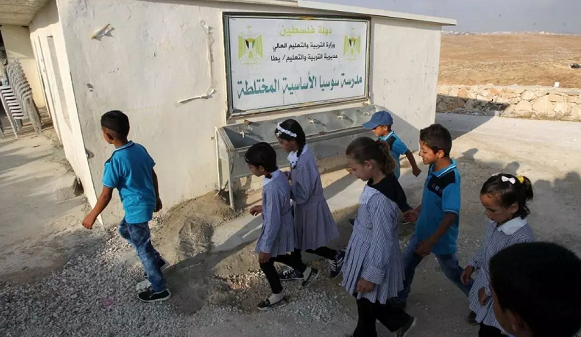 At least 97 schools have been subject to Israeli aggression, including 87 in the West Bank and 10 in the Gaza Strip, Saidam said. The minister added that at least 47 Palestinian students were killed by Israeli gunfire in 2018 and called on the international community to be “firm” in bringing an end to Tel Aviv’s actions. According to estimates, around 6,000 Palestinians are currently languishing in Israeli detention facilities, including women, children and a handful of lawmakers.